Our experts provide you the expertise, experience, and results that will move your website up to the top of the search results pages. The process is hands off, so that you can concentrate on growing your business while we focus on building your traffic. Perfect for solo business owner who just launched their site and need some extra help. Ideal for business looking to capture on niche keywords and terms. Perfect for businesses that have common industry terms. Search Engine Optimization can be scary. Luckily, we have some of the best dedicated marketing program managers with over 11+ years in SEO to do work for you. If you have questions about SEO rankings - you can ask away! They are there to help. Your Account Manager will offer backlinking (links from articles or blogs back to your site) by writing unique articles and blogs and submitting the content out to hundreds of sites and popular social bookmarking websites. Compare the efforts your account manager makes to improve your ranking with Google, Bing, and Yahoo. Use our graphing system to see how your keyword ranking increases over time and measure success. One of the first items is making sure your website is optimized correctly for the keywords you're targeting. 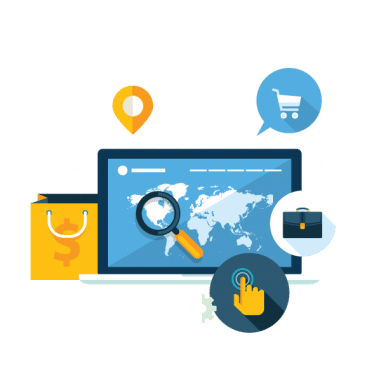 Our SEO managers will handle tweaking your site so that you have the greatest opportunity to move up in search engine rankings. You will have absolute visibility into what is happening with your SEO campaigns. See what progress your Account Manager has completed, what is being worked on, and what is set to be accomplished. You get full transparency into how things are tracking. By utilizing our managed SEO services, you will be on your way in bringing more people to your site. With some guidance and tips from our dedicated SEO staff, you can turn those shoppers into customers. The amount of articles, bookmarks, and blogs listed above is a rough estimate of general work and does not reflect what a customer will actually receive. Customers will receive a kick off and welcome call 1-2 business days after signup. Beyond that, our managed SEO services team will do keyword research, on-site optmization recommendations, link building, send you ranking updates, and work on content generation. Hockey Stick ROI*: Traffic increases once you achieve top page one rankings but usually not until then. Google and the other search engines are the only ones that can say with fact, that they can guarantee results. We work hard for your campaigns but understand SEO is a long-term strategy. Can I expect all of what is mentioned above to be executed in the first month? No. While we start working, the SEO takes a while to come to furition. We give clear expectations after the initial call to let you know based on your industry and niche, when you will start to see the results you are looking for. What does my Account Manager actually do to improve my rankings? How do I know which keywords to target? After your initial call with your Account Manager they will help select the best phrases that reflect your business – keeping search volume and competition levels in mind to generate the best results. If I cancel will you erase my results? If you decide to cancel, we will not erase any progress made on any of your campaigns. I’m Already ranked #1 for my business name. How can you help? The truth is: when people are using search engines to search the internet, they don’t saerch your website name. They usually search a combination of location, keyword, or niche terms that will help them find what they are looking for. We specialize in helping you show up for those searches .